When the best performer in a market is able to capture a very large share of the rewards, and the remaining competitors are left with very little, it’s called a winner-take-all market. Dambisa Moyo’s latest book “Winner Take All – China’s Race for Resources and what it means for us” suggests that China is the best performer in the global economy and the rest of the world will be left with very little. The renowned economist and author of Dead Aid analyses a profound shift, which is under way in the global economy - from the industrialized, western nations to China’s resource oriented economic power house. The fact that the world’s resources are not infinite has become China’s mantra in securing access to hard commodities (like minerals extracted through mining) and soft commodities (in the form of crops and arable land). Dambisa Moyo’s book cites impressive examples of China’s resource claiming mission, like buying a mountain in Peru. Mount Toromocho is half the height of Mount Everest, an imposing landmass in the heart of a nation; for US$ 3 billion the mountain changed hands from the people of Peru to the Chinese. Africa and South America are seeing huge investments flowing in from China, which have brought the nation from relative insignificance to pole position in the global resource race. 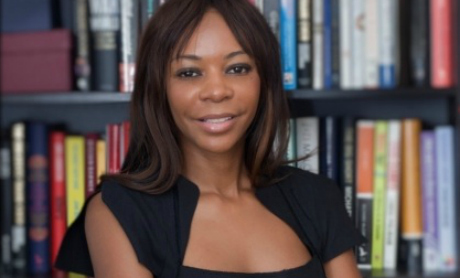 Whether one agrees with her or not, Dambisa Moyo has achieved another mind opening feat - with her latest book she makes a compelling argument to reassess China’s role in the fast changing patterns of geo-politics. At #dld13 Dambisa Moyo will be discussing her views further with The Economist’s Vijay Vaitheeswaran.